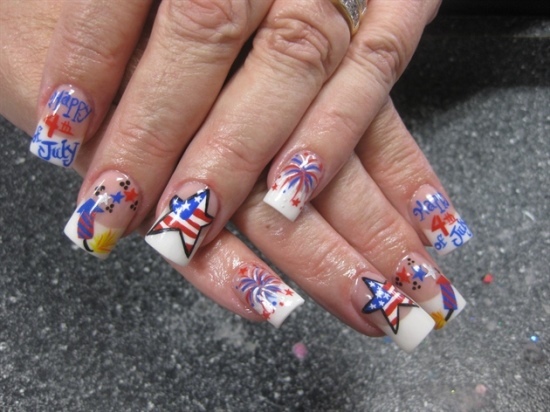 Independence Day is one that allows you to pour out the patriotism you have for your country. 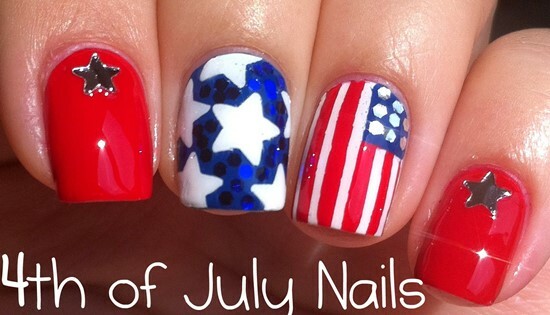 The fourth of July is one day when you can do just that! 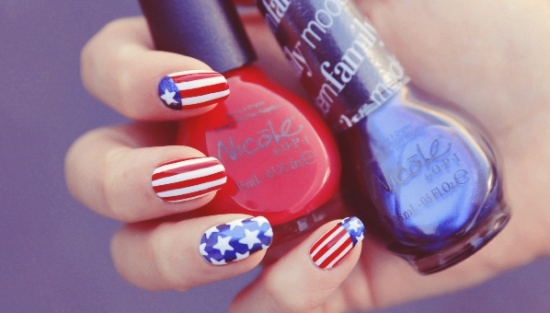 You could dress all you like in the American colors of blue, red, and white. 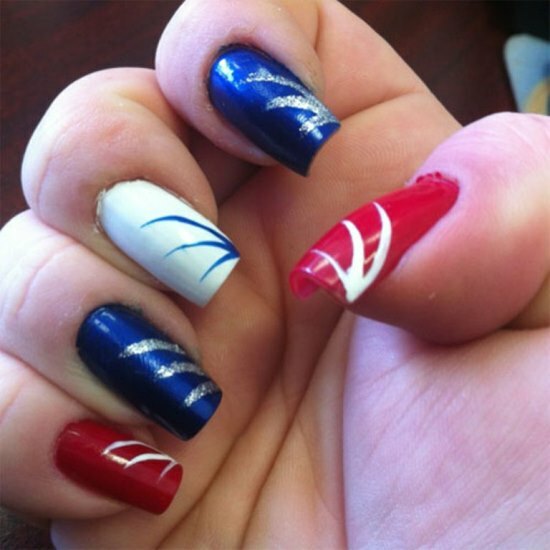 It is one day you get to show off your patriotism to and for the country. 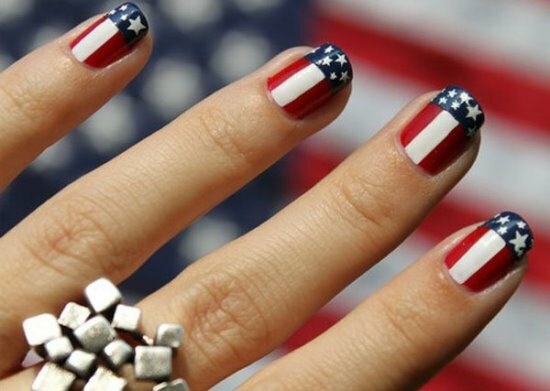 What’s more, to catch up with your native colored ensemble, you can paint your nails with the same colors too. 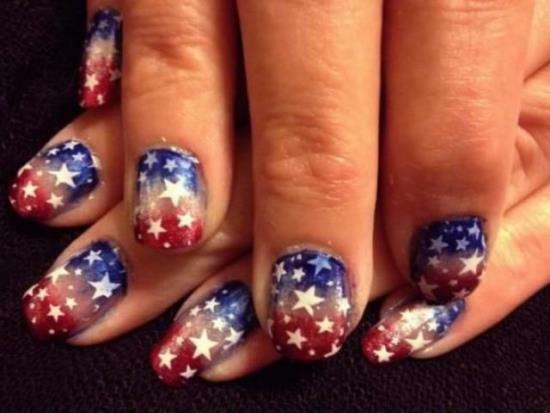 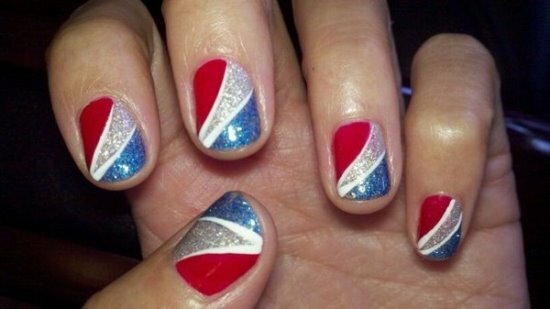 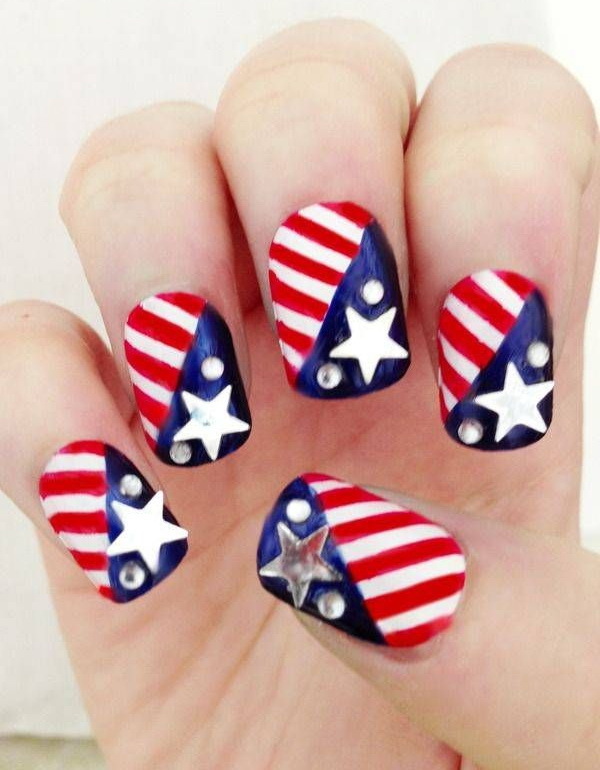 The 4th of July nail art has become quite a favorite amongst women, especially when they want to celebrate the day in full patriotism swing. The designs and patterns that you can use for the Independence Day are many, some of them simply exquisite and gorgeous. 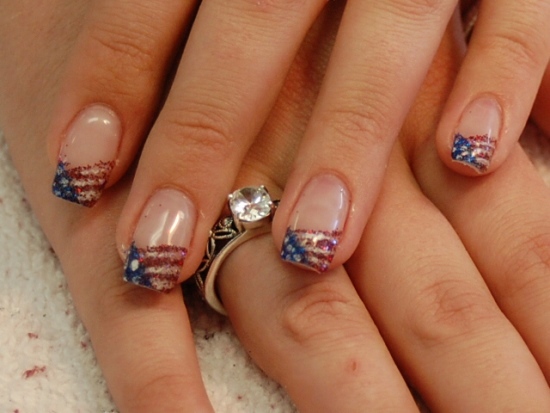 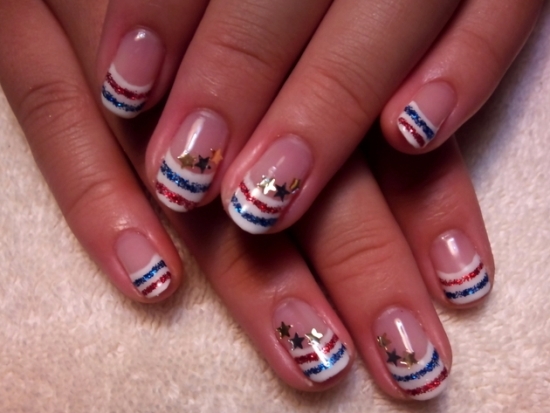 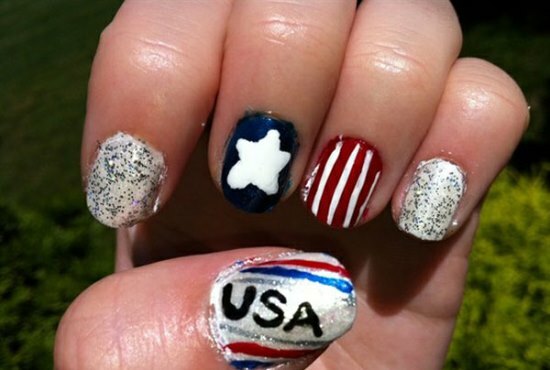 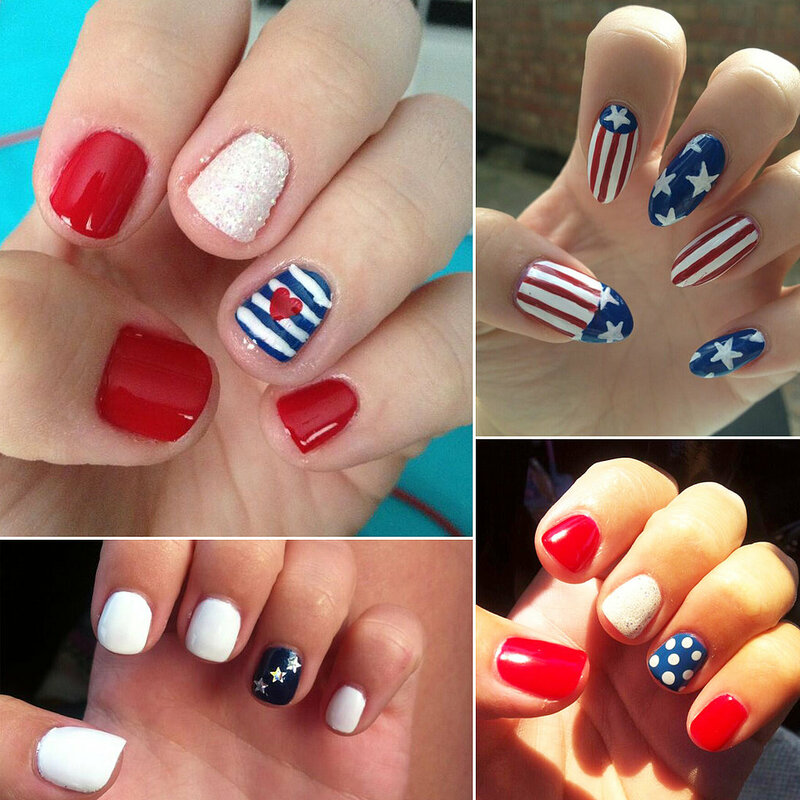 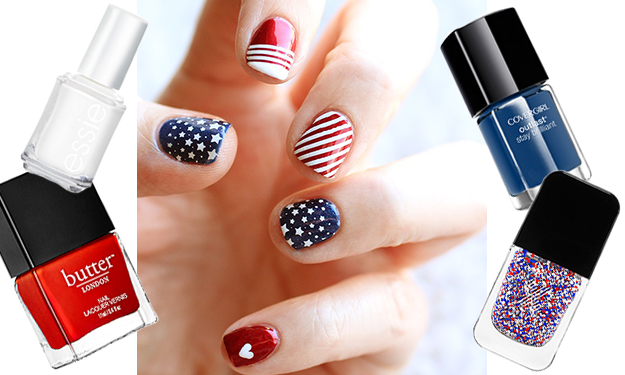 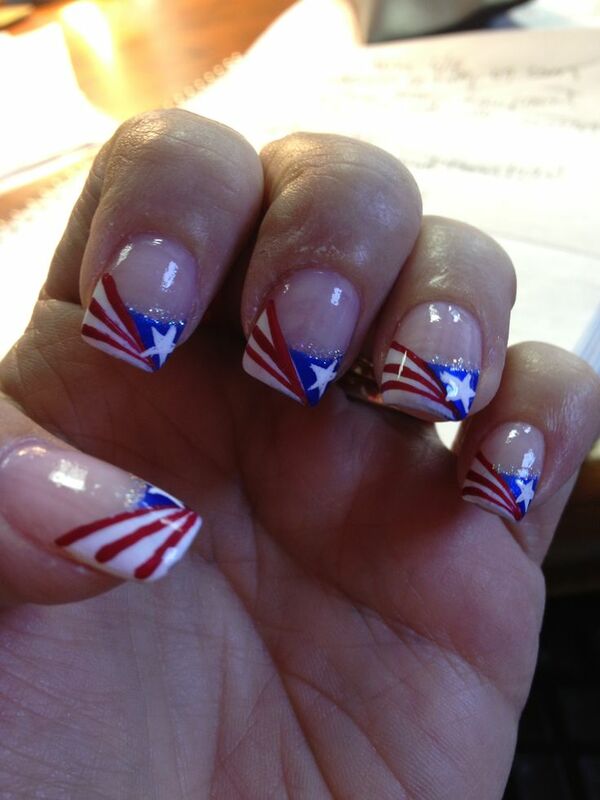 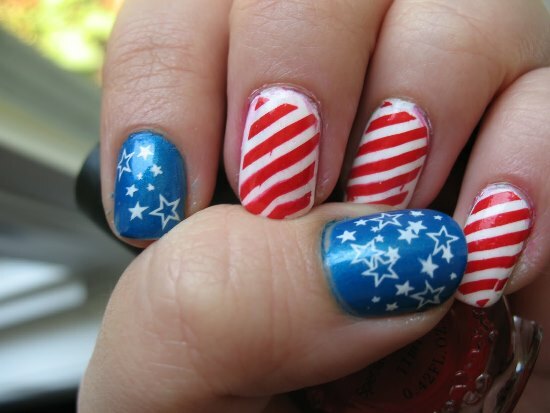 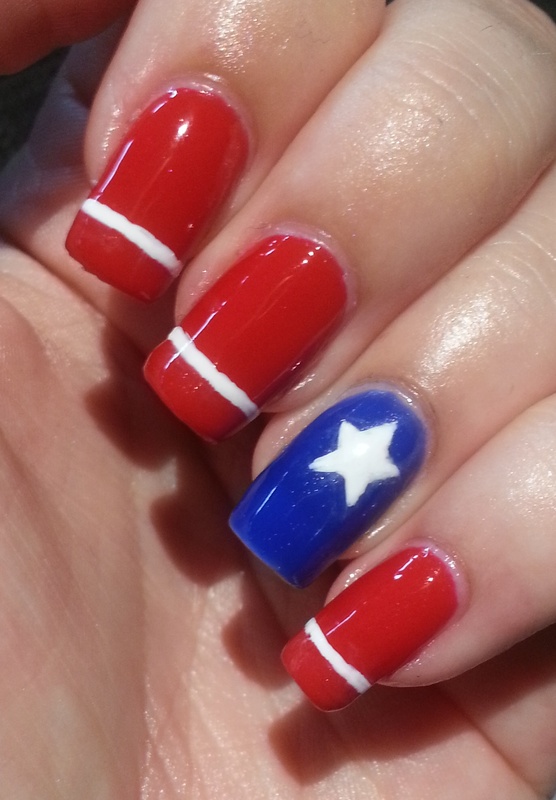 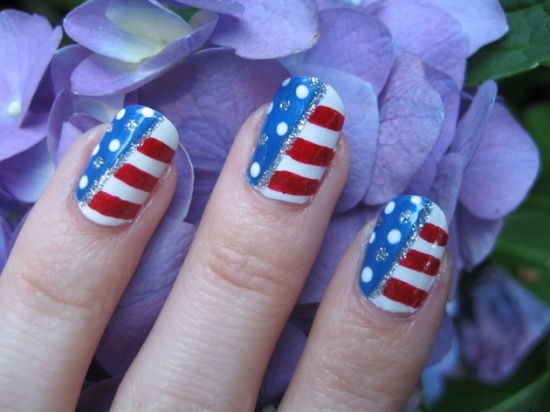 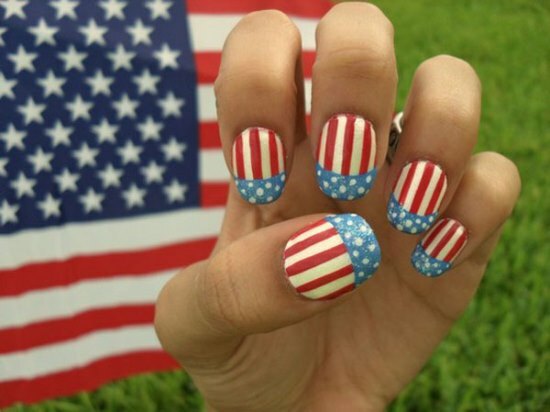 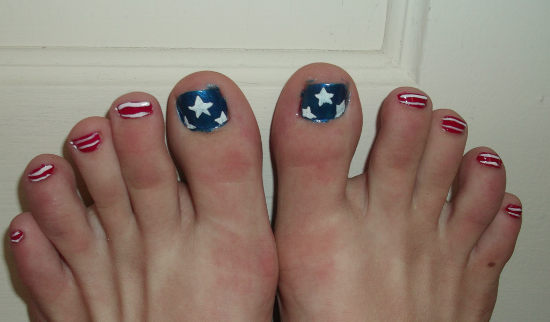 There are also many methods and ways you can use for creating those beautiful 4th of July nails. You can use the combination of the native flag colors of red, white, and blue or simply use each individually in any way you want. 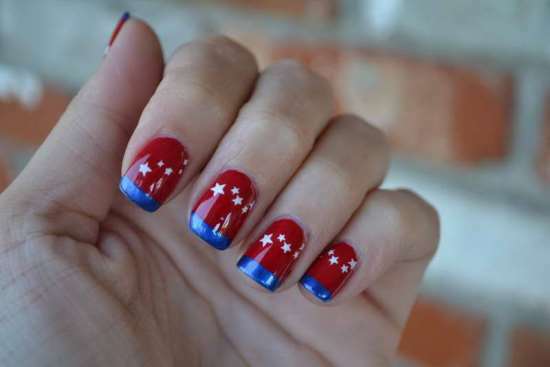 You can paint all the three colors on your nails and have white little stars on your nails, giving it the national flag look. 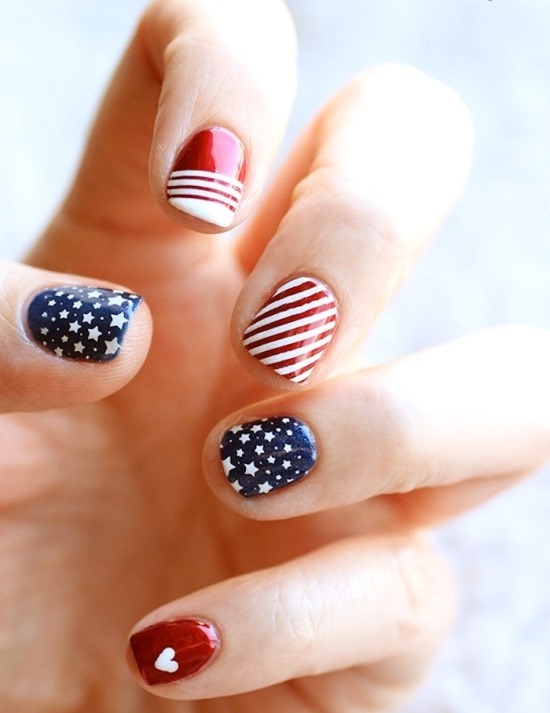 You can also use stripes, silver or gold, to create the fireworks on your nails. 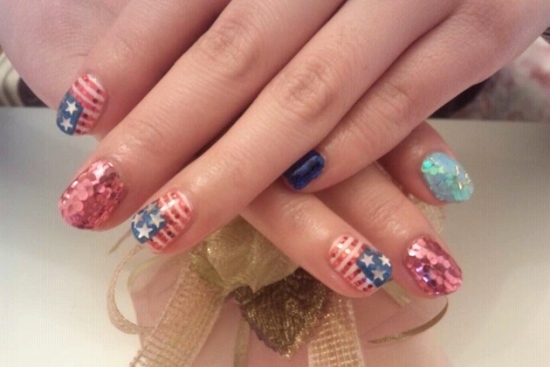 You can also try glittery or plain star stickers for your nails. 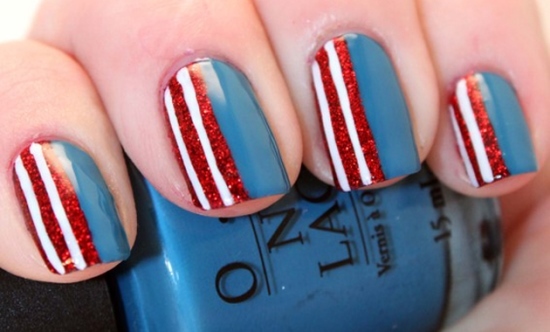 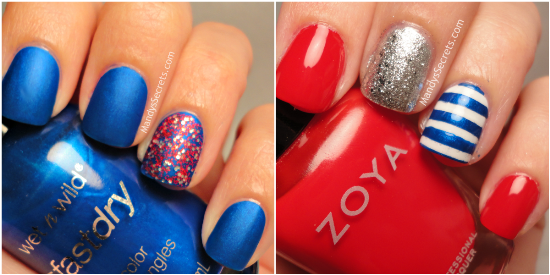 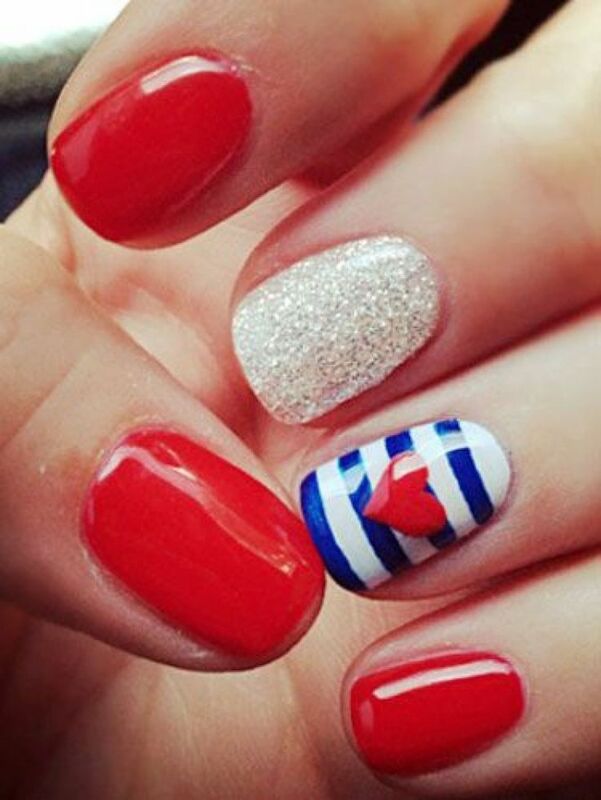 Paint your nails red or blue and stick the stickers on to them, creating glittery or starry 4th of July nail designs. 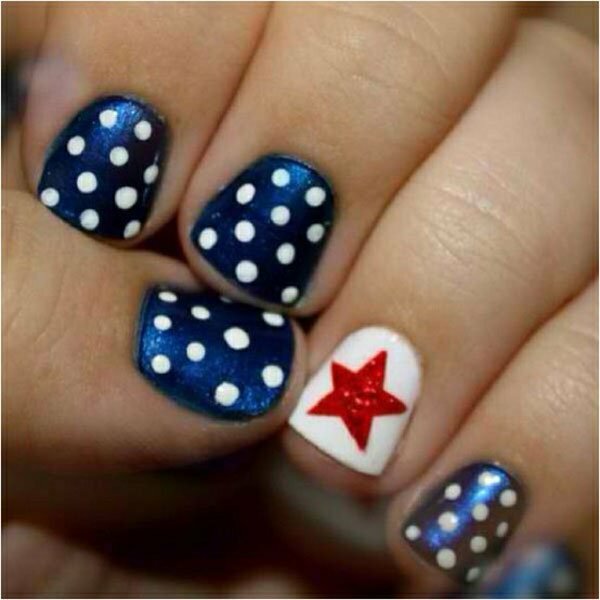 You can use the stars as solo décor on your nails or put them up against a base coat of red, blue, or white, whichever way you prefer. 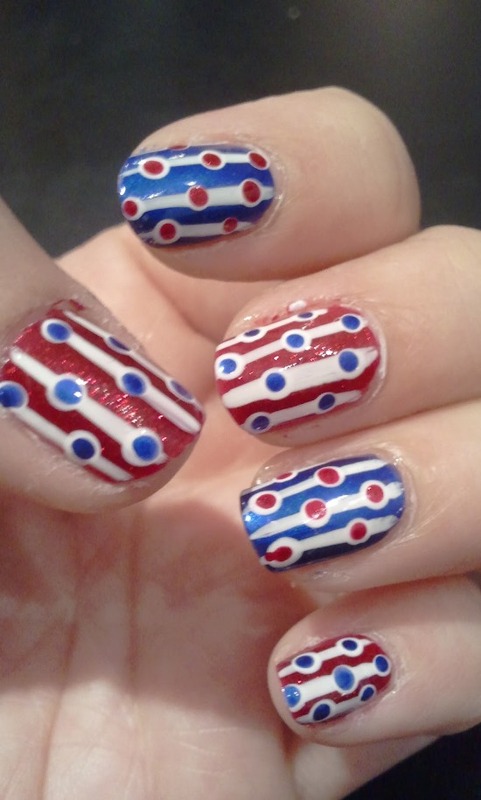 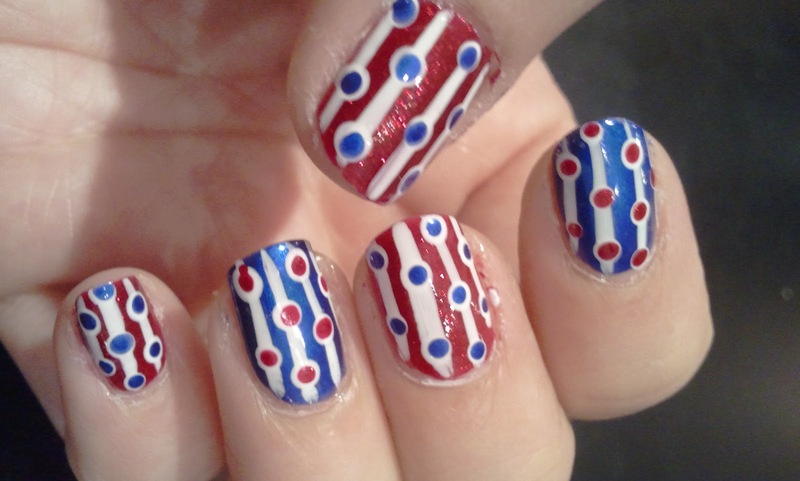 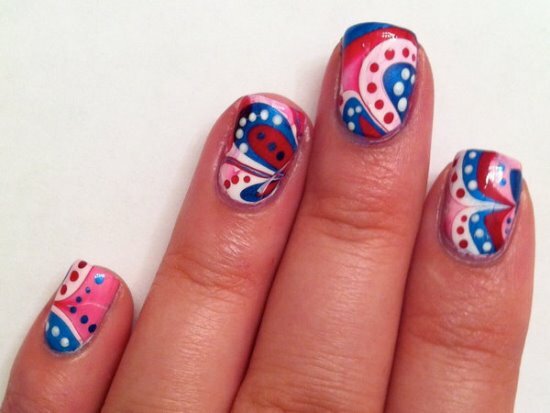 Polka dots are also a great pattern you can use on your nails for these Independence Day nails designs. 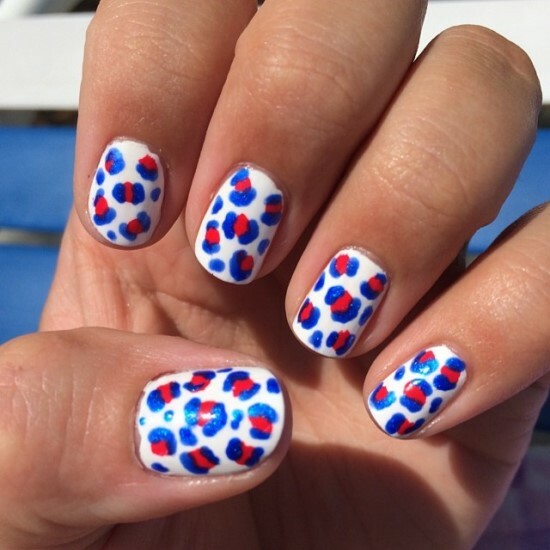 Nail art ideas for polka dots are many, and you could use them in any way, with these three colors. 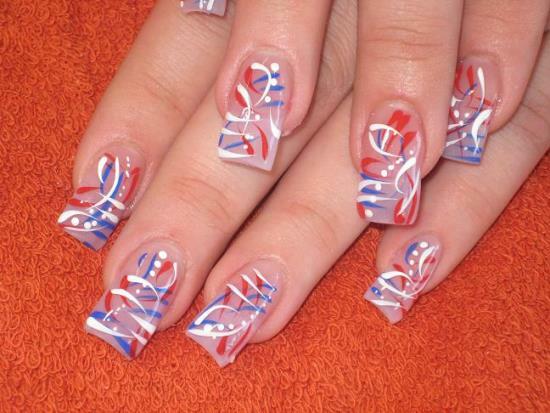 Water marble nail art is also a great idea to use when creating 4th of July nail art. 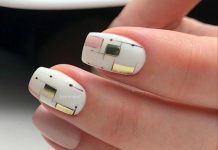 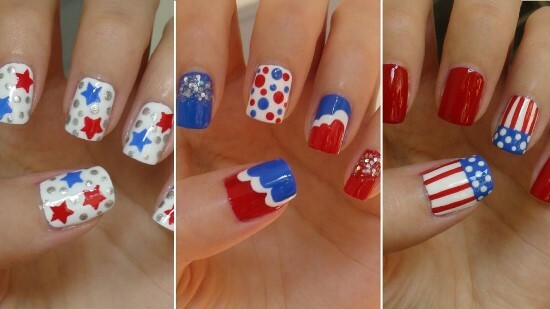 It is quite a tricky and a unique way of decorating your nails with the national theme. 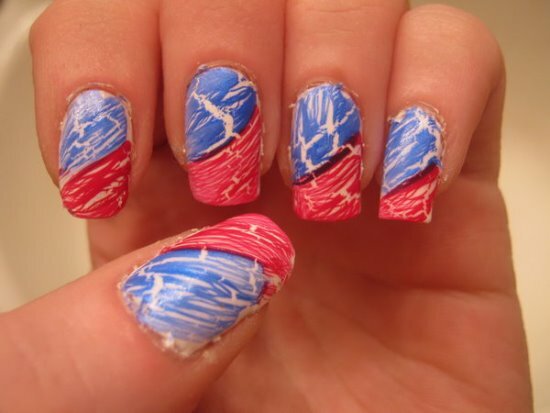 You are free to choose any color combination, say two of the three or all three of them for your water marble nails. 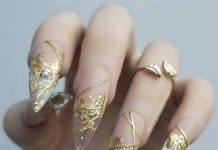 One or two unique nail is also a possible option you can opt for. 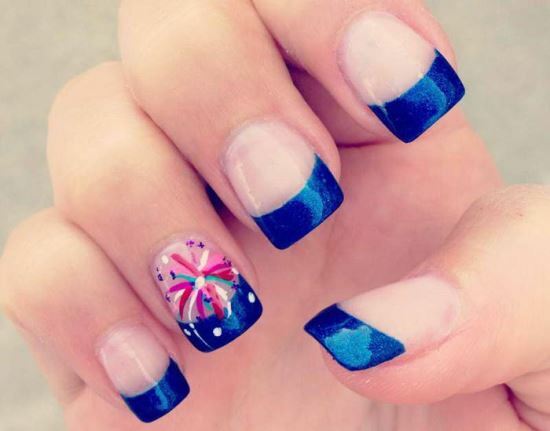 You may have a single or two nails that are either decorated or painted a different color than the rest. 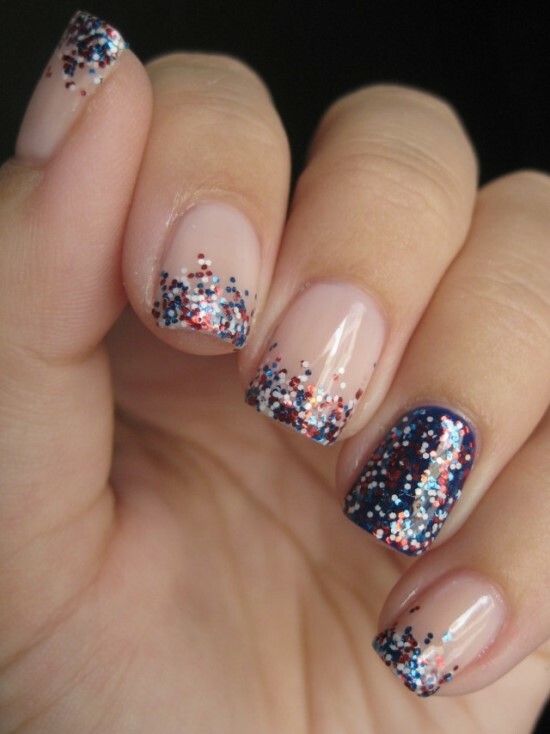 You could use glitter paints, rhinestones, or sequins are also some of the items you can use on your nails. 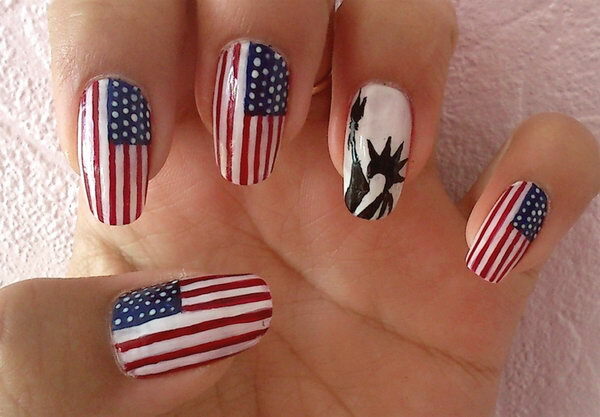 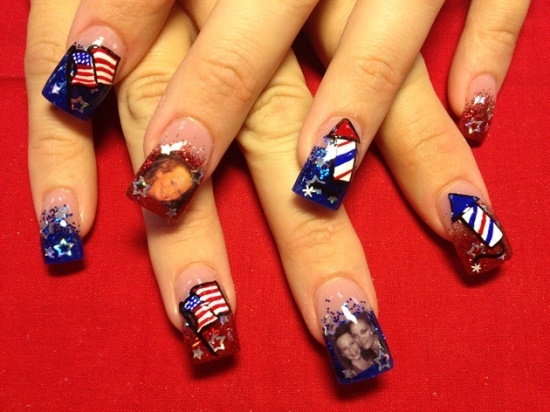 Nail decals with different patterns and designs with the Independence Day theme can also be used on your nails. 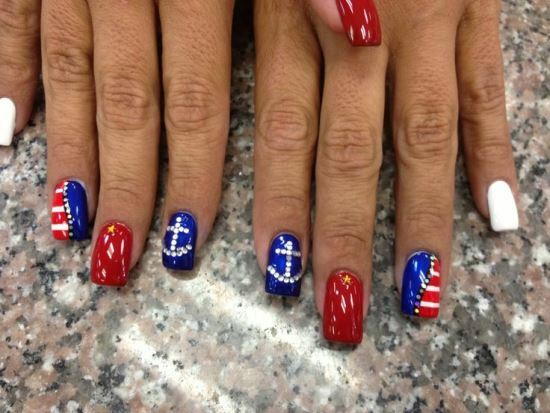 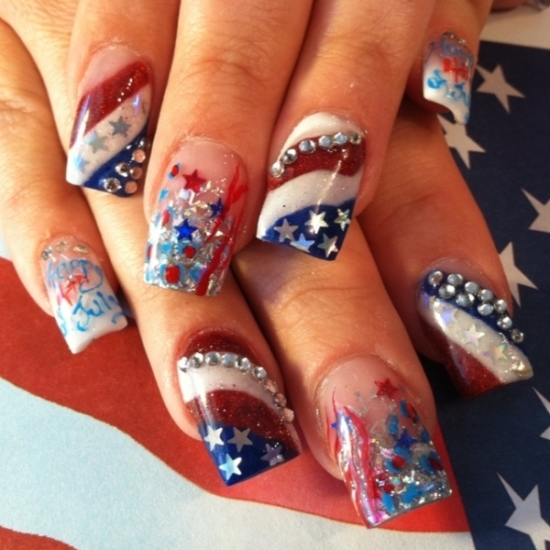 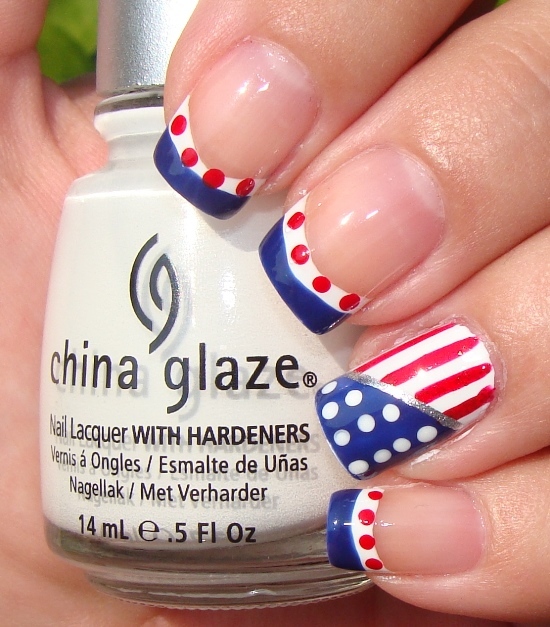 Again, you can create 3D 4th of July nail designs with materials such as rhinestones for the occasion. 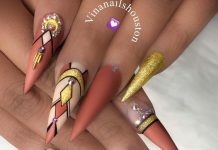 If you are good with the nail art tools, you can always use them to create some gorgeous designs and patterns of your own. 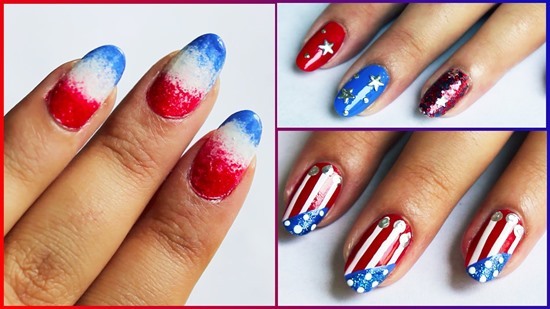 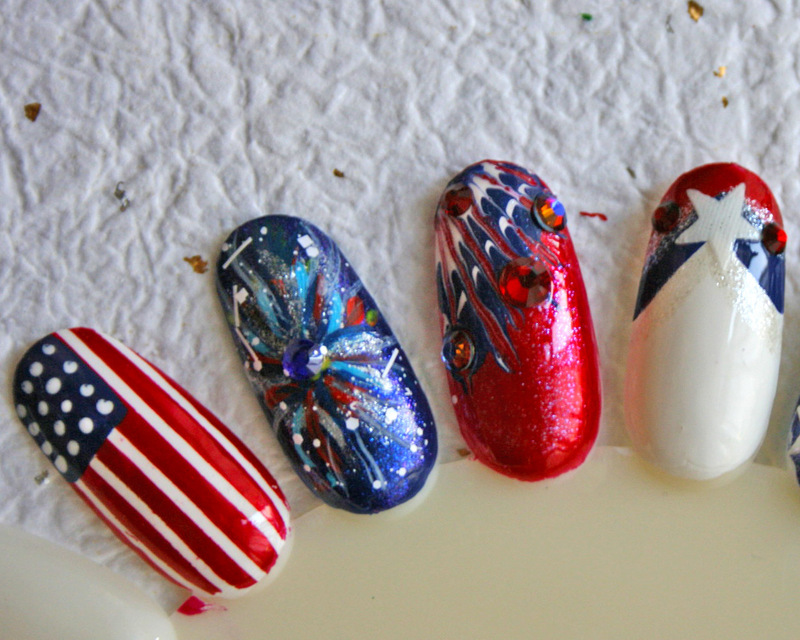 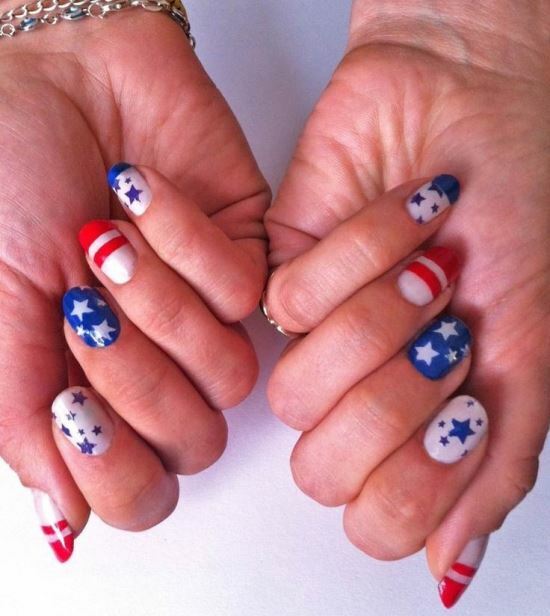 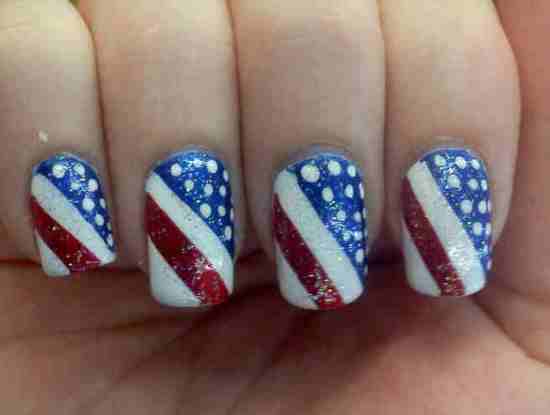 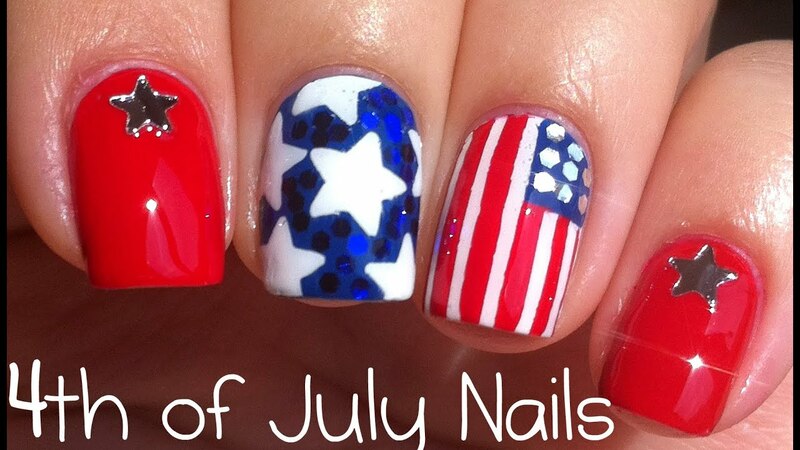 Here are 51 amazing and the most gorgeous looking 4th of July nail art ideas for you to sift through and choose.